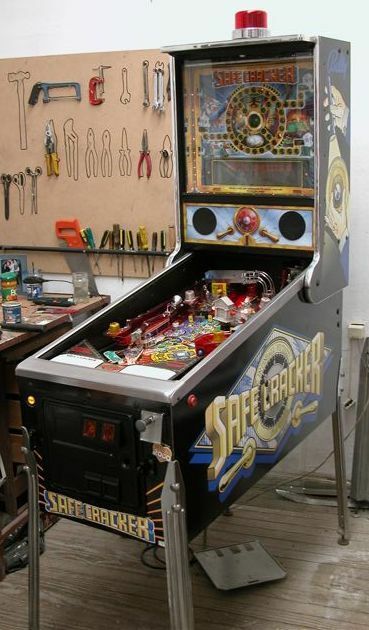 This game is smaller than a standard pinball machine. Game dispensed metal TOKENS if you did well. This token could then be re-inserted into the coin slot to play a special version of the game. It is rumored that it was also hoped that the tokens could be redeemed for something of value from the location running the game. For example, you could turn the token into the bar for a "free" beer. This new concept did not translate into increased earnings so the idea was dropped after Safecracker.